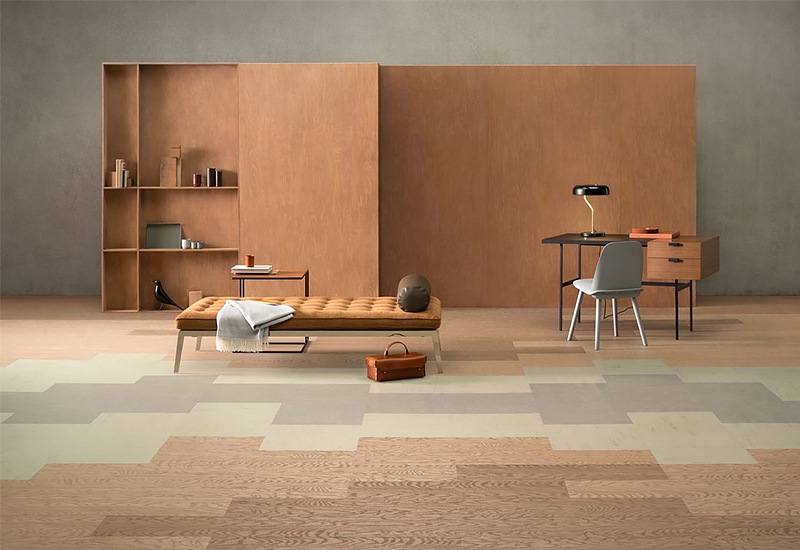 Marmoleum Modular Tiles & Planks – A new collection that allows you to create the floor of your choice. 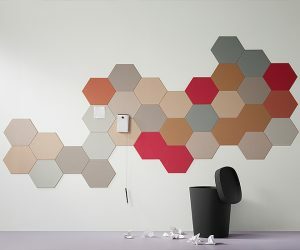 You can easily combine and connect one or various shapes, sizes, texture and colours to develop a unique personal design. 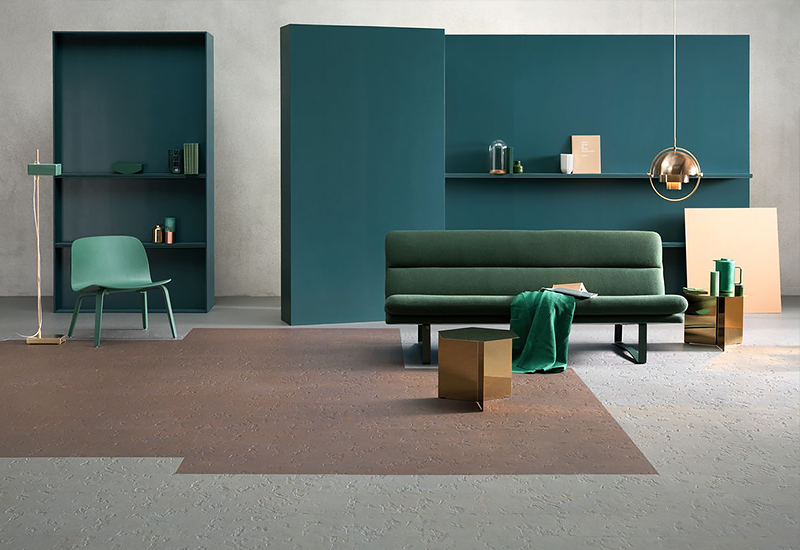 Marmoleum is a healthy flooring covering material made from natural raw materials (Flax, Wood Flour, Jute etc) and is the world’s most awarded floor-covering when it comes to eco labels like Nordic Swan, Blue Angle, GECA and Green tag. Marmoleum consists of 72% renewable raw materials and 43% recycled content. Additionally Marmoleum is produced CO2 neutral and uses 100% renewable electricity in production. 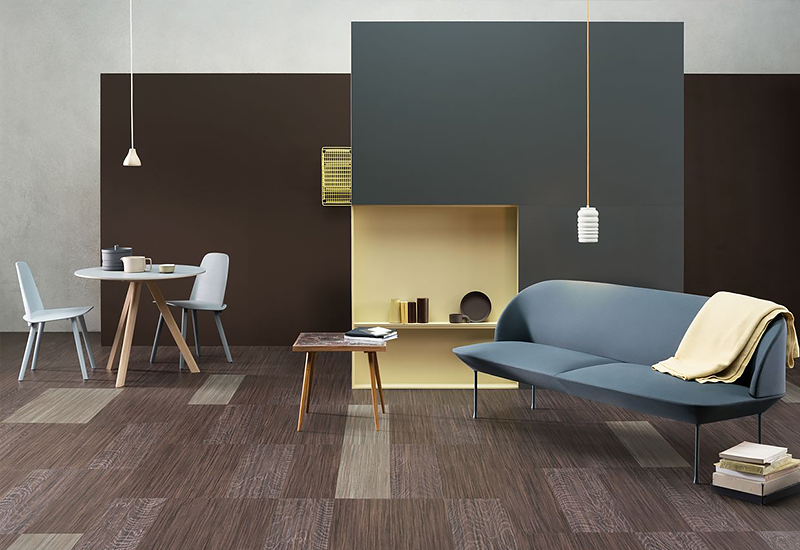 Marmoleum is also Asthma and Allergy approved for interior spaces. 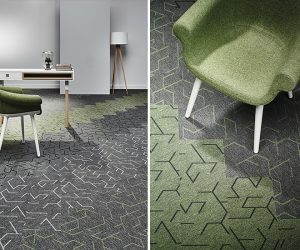 The new Modular collection offers a wide variety of designs, patterns and texture that allow creative freedom. Marmoleum is not far removed from a timber floor offering long term performance and easy maintenance in the home or office environment. 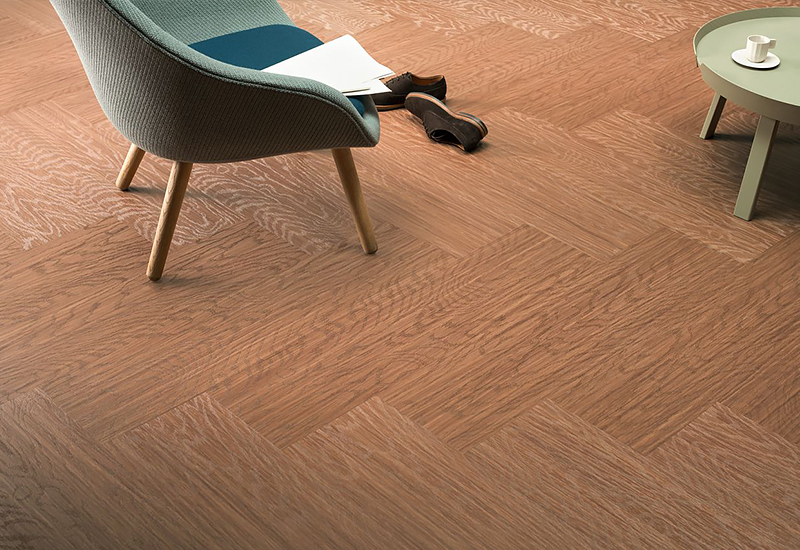 Installation is modular, not complicated and is occupancy ready or no need to finish the floor once it is installed. 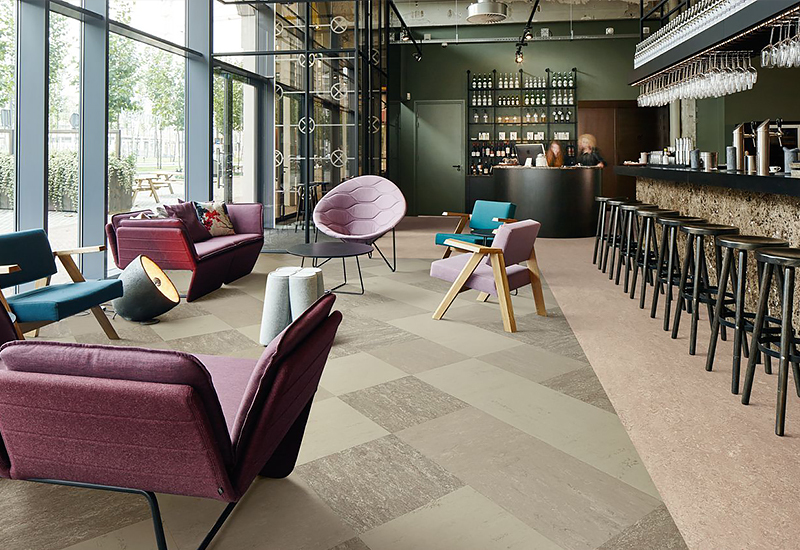 Marmoleum Modular is a sustainable alternative to PVC vinyl tiles or LVT products as Marmoleum contains Zero PVC and achieves for red list free status.